What: Mini-figure representations of Masters of the Universe/He-Man characters, although I'm pretty sure they're bootlegs and not actually affiliated with MOTU. 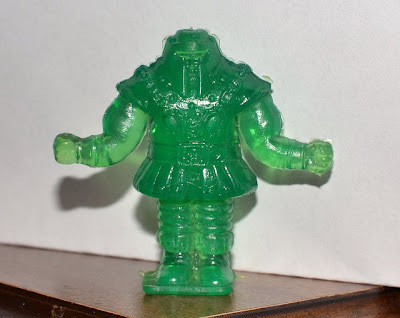 I only have Ram Man, but have seen photos of a variety of sculpts and colors, both solid and translucent. Dude, I found a whole bag of those once! Lucky find! I'm hoping to get more one of these days. I don't see them turn up that often.